Games in Facebook are loved and played mostly by younger generation. These games have become the largest point of attraction for Facebook users. Different categories of games in Facebook that are liked are puzzles, action, quizzes, shooter, etc. When you play and go to the next level and want your friends also to find out that you have reached the next level in your wall, then you can use the filters for games feed. Facebook Games range from quizzes, cards, applications, arcade, etc that entertains you. In Facebook, games are posted on your news feed when you receive a high score or reach a new level. 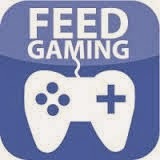 This will bring all your games feed in your news feed section.